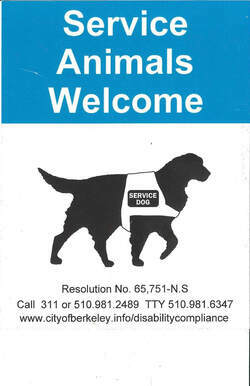 Commercial business city ordinance window stickers are available at the Berkeley Chamber. Stay in compliance! 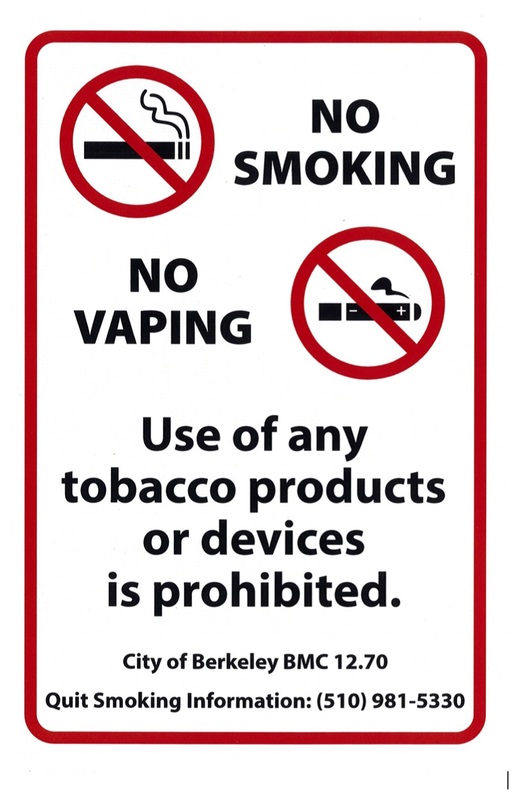 The City of Berkeley Non-Smoking Ordinance states: To protect the health of everyone who uses Berkeley's public areas, new and expanded smoking restrictions came into effect on May 22, 2008, creating smoke-free commercial zones.